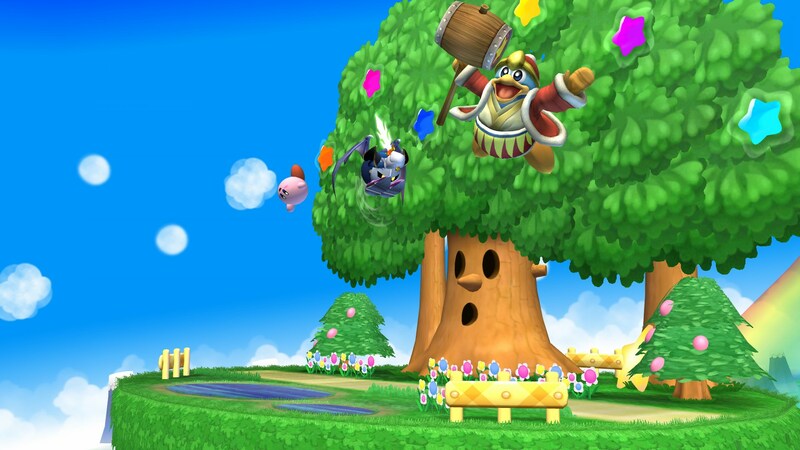 The other backgrounds are Nightmare in Dreamland and Squeak Squad. 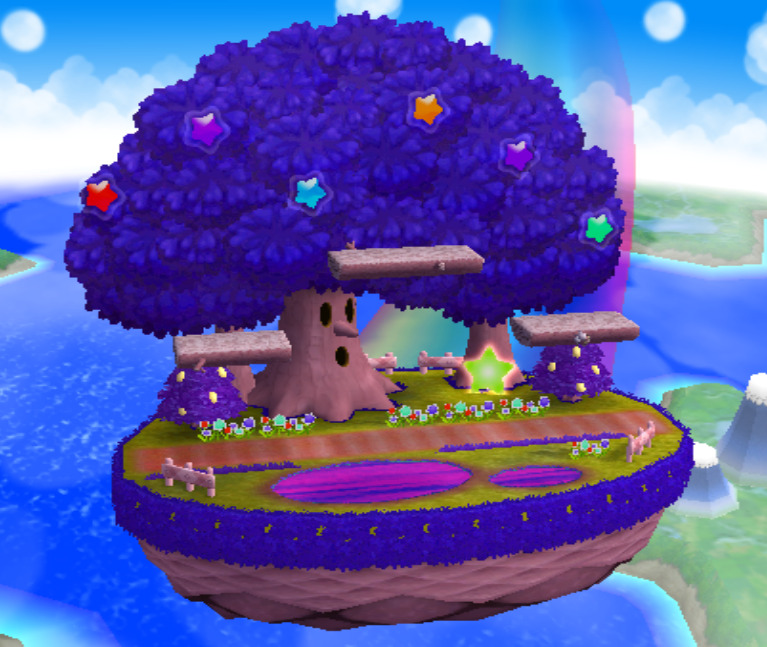 FD base, but musically and thematically it fits over Green Greens the most. Update: Thanks to Shy the backgrounds now look better, he also made a 3rd version, based on Kirby's Adventure! Update 2 : Removed camera tilt. 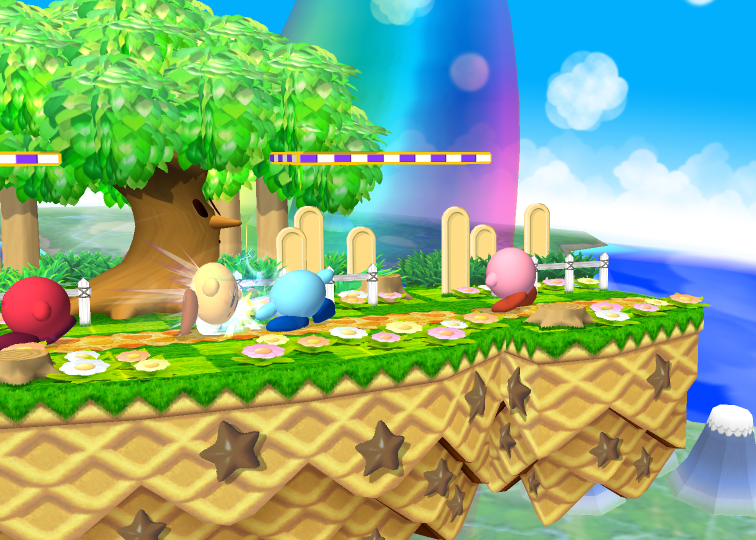 UPDATE: Stage lighting issues fixed, spawn points fixed, and whispy no longer blows characters off the stage. Stage using a new lighting system. 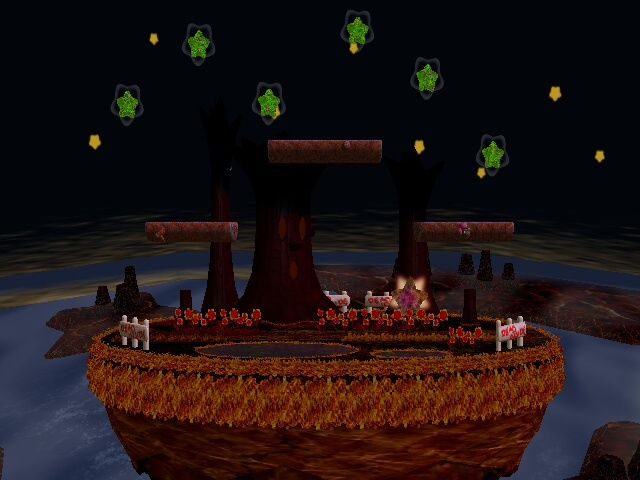 Also the main stage doesn't get darker at night now to compensate for darker CRTs. WE BACK! Here's a new update for dreamland! 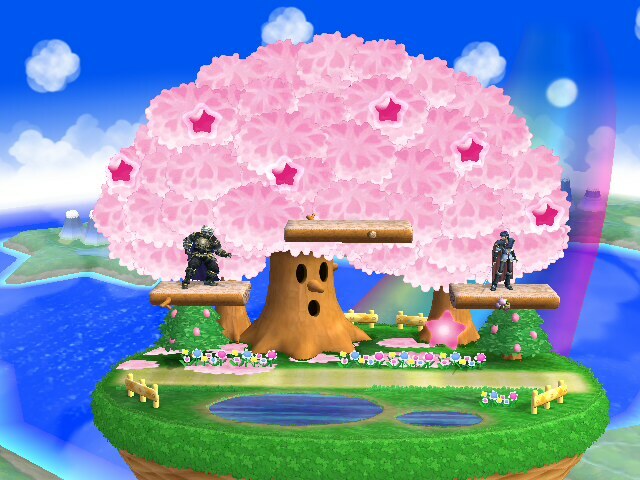 This is what I envisioned for the stage but was only able to do recently! - Day/Night Cycle, each transition is a minute. The lighting changes to a similar style as fountain of dreams for characters during night so you can see them at all times. Scarfy has a day and night model now! 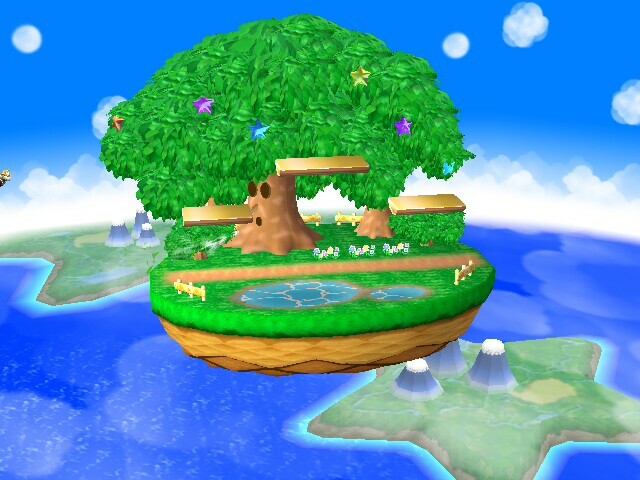 - Changed the warp star into the flight star from Air Ride so it doesn't get confused for an actual item. - Glowing mushrooms for ambiance! 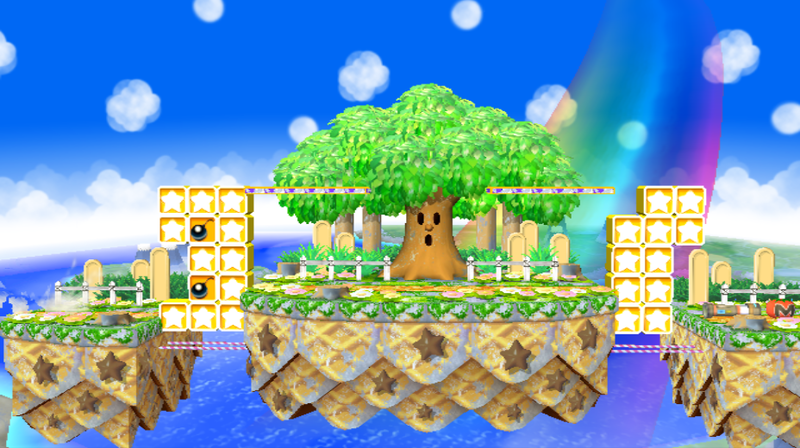 - Optimized the stage model! - Tons of shading improvements! - Stage optimized to 1.38mb from 1.53mb! 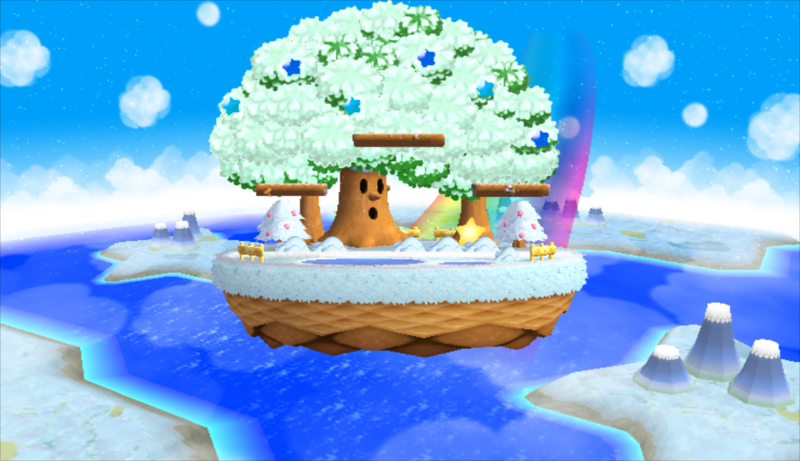 I got the AZPM Winter stage but noticed that the leaves were gone and they got rid of the snowfall, so I decided to put them back in. Iv'e always wanted a winter dreamland. 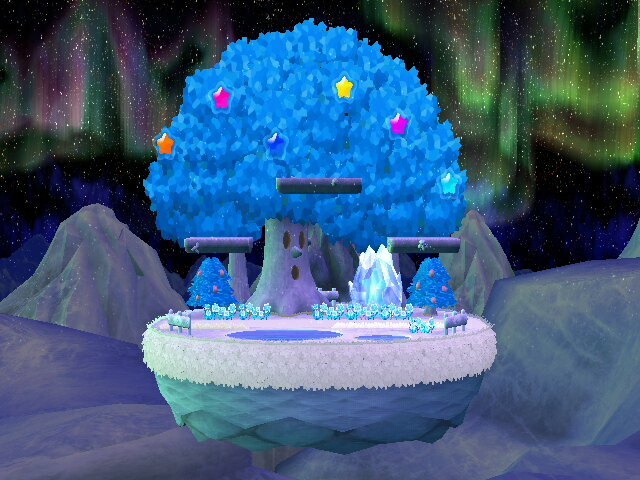 Just a simple texture/bg swap, warp star is frozen. Halloween edit of Theytah's Return to Dreamland: Night. It began more graveyard-akin in theme, with greys and fading and will-o-the-wisps, but eventually fell to the primordial allure of fire and brimstone. The stars became the spiritual echo of leaves once possessed, while the other stars got flipped up-ways in delivery of the underhood this world is defined by? And that one last star is a sickly corrupted dying warp or something. Aesthetics. Scarfy is a demon. 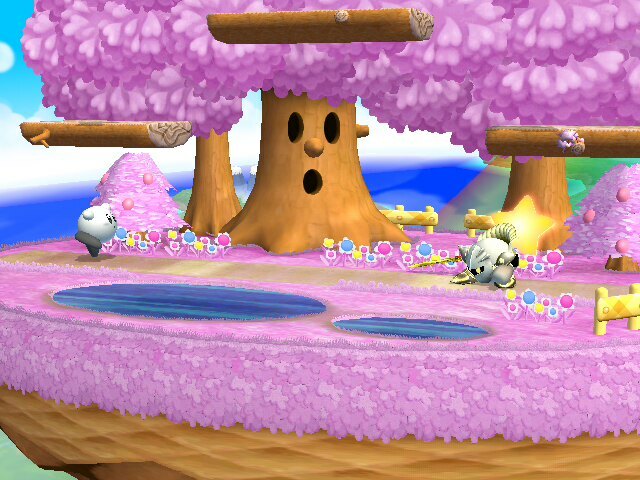 Whispy's eyes fake glow when he turns. Probably other stuff I've forgotten having added along the way, too. My main machine's hard drive suffered a physical failure so I'm using my old laptop while its data is recovered (fortunately I had this and inverted FoD on my SD). 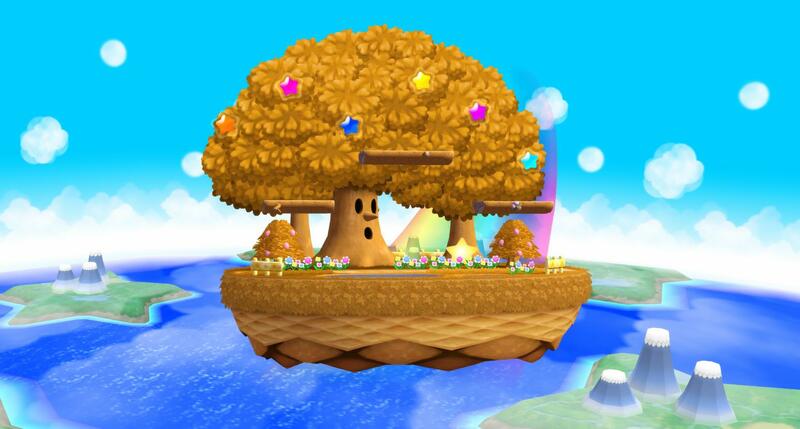 This thing does not possess the resources for me to be comfortable putting time into investigating and learning more about brawl's filesystems and PM as a package, so the water remains blue despite my efforts, and the leaf animations green. While I ended up growing to enjoy the leaves as they are, I would have liked to change the water to be perhaps an ashen grey. In fact, that would totally complete the sentiment. Please, if you know how to do this—if I need to add a new determinator somewhere or something—hit me up with a message and we will make it happen. Otherwise, I'll probably get round to it eventually. Once the discontent has eaten away at enough of my repression. Hi guys! 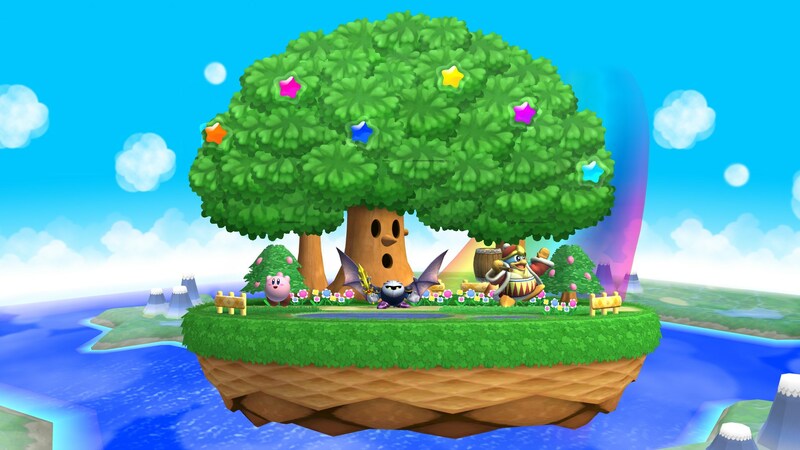 I'm here with other import, Dream Land 64 Omega imported from Smash U. Include new textures, models and tree animation. Comes in 2 variations, a regular and a wifi Safe version. 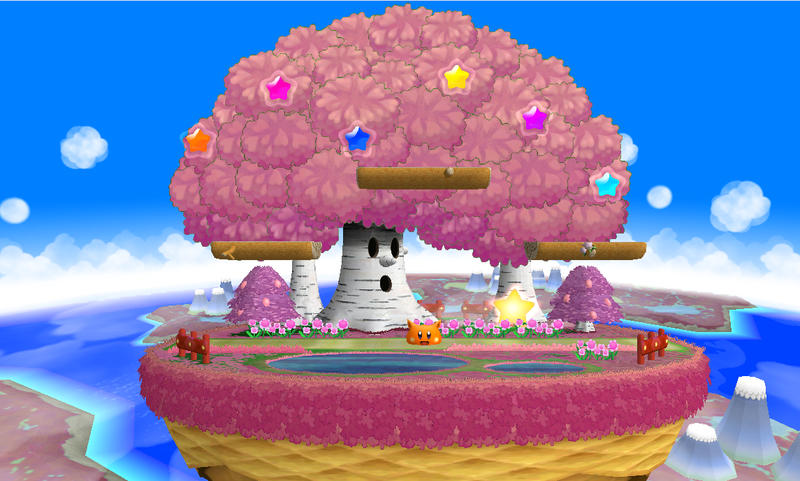 This is an autumn re-texture of Theytah's Return to Dreamland. Comes with icons as well! 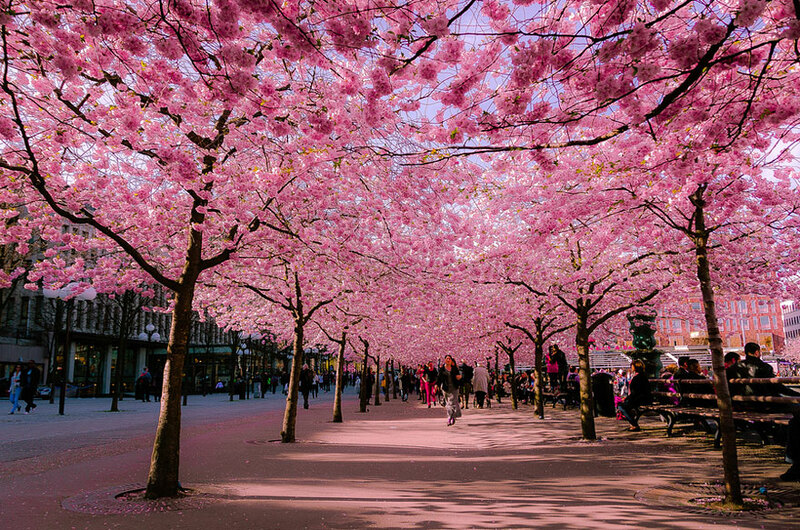 I decided to Re-do the Cherry blossom skin that was uploaded awhile ago, because I thought it could be better. Minor texture edit. I couldn't find how to recolour some of the animations on skim so green they remain. Requested by Midnight_B1u3 on /r/ssbpm; I did not plan on uploading it since it's the sum of a meagre amount of work, but DraconisMarch asked that I do anyway. 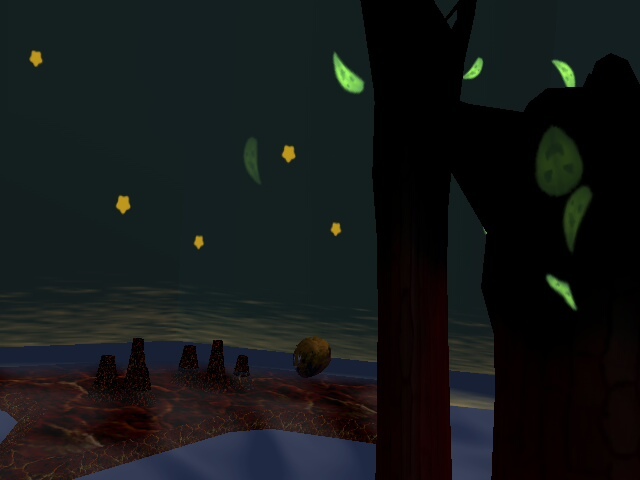 If anybody possesses knowledge pertaining to the task of getting the leaves to glow, please, PM me. 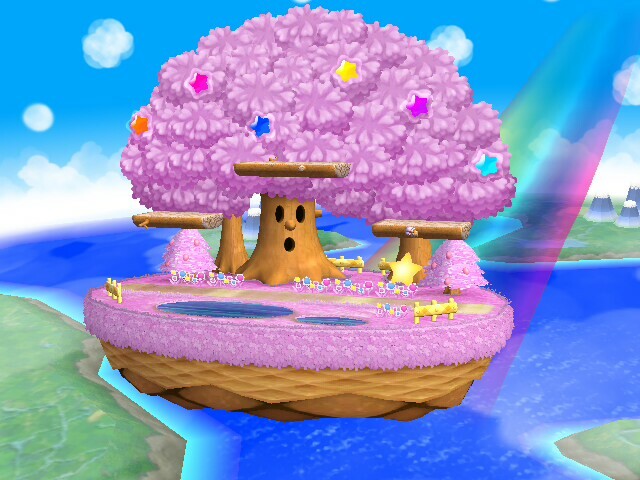 Dream Land from Smash U is here! Comes with Stage files, 2 brstm's, SSS icons, and module file! Hope you enjoy it! 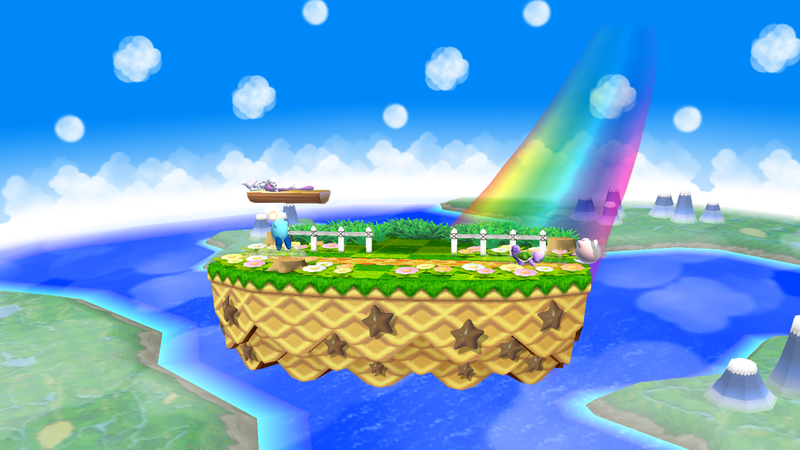 This is the Project M Dreamland N64 Remake without additional platforms. 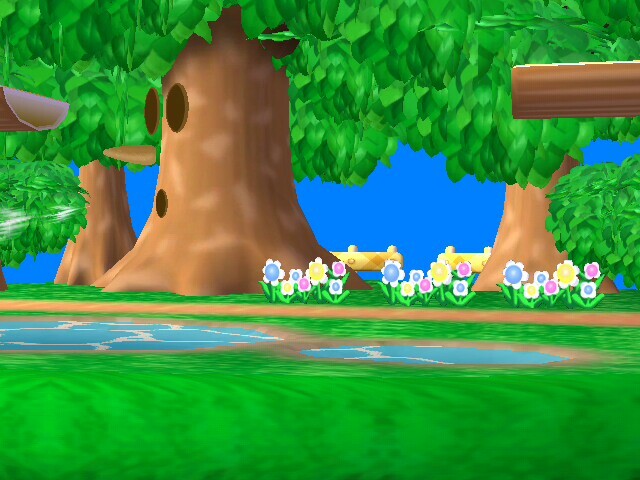 It will be featured in Project M XP, a mod I'm working on with some people. 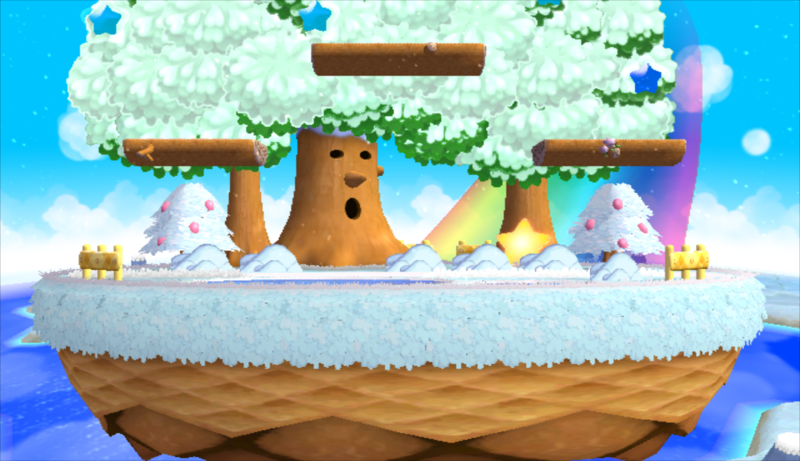 UPDATE: STAGE NO LONGER FREEZES ON WII! 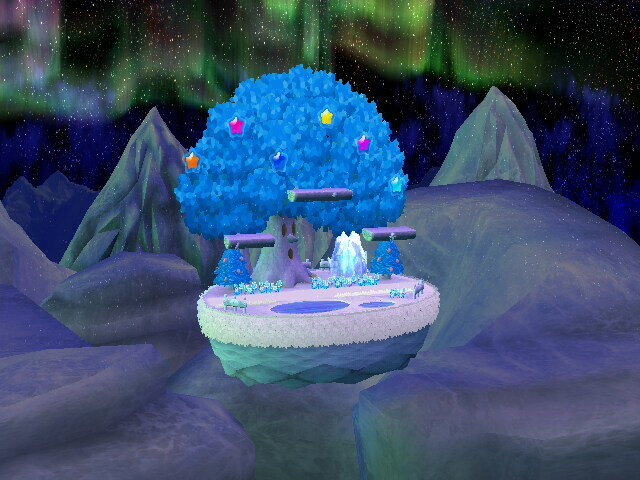 My remastered Dreamland, now in nightime! Did this as a request/practice, pretty simple edits, enjoy! 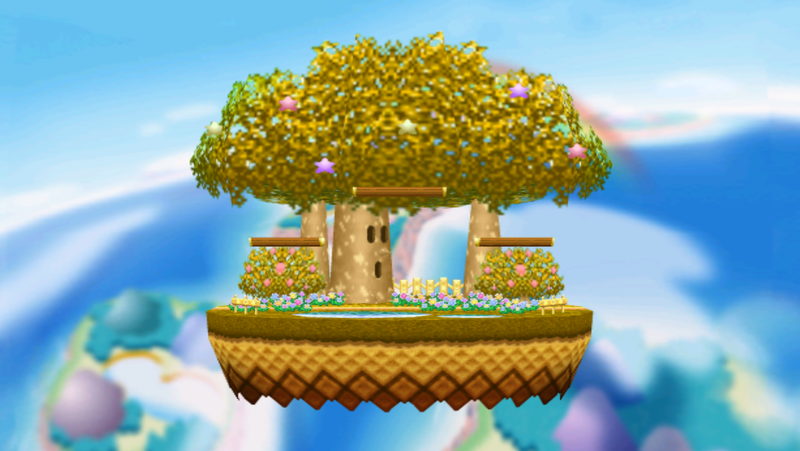 So here's the dreamland I made for PM, was unsatisfied with my last attempt at the stage, so this should be the definitive final iteration of my HD dreamland stages. 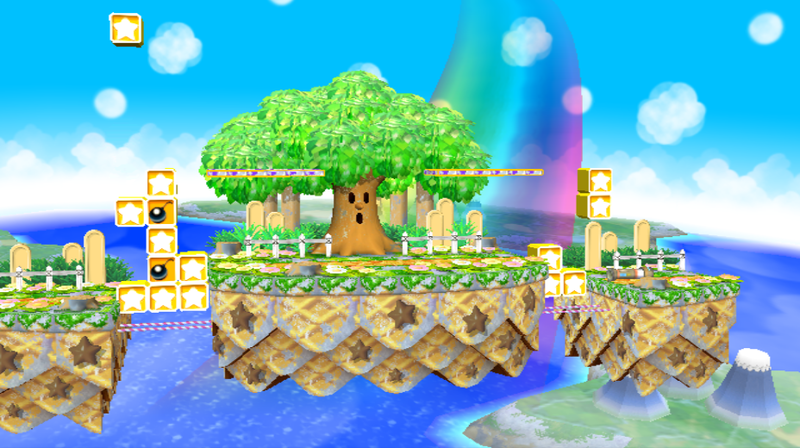 Hope you guys enjoy, after 136 hours of work I'm finally happy with the remake of my favorite smash stage of all time! 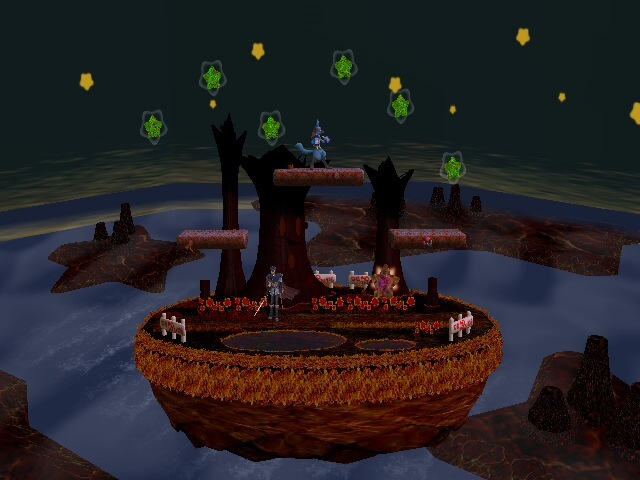 The demo stage of the original Smash Bros. remade using fancy Green Greens assets, combined with Theytah's Revived Dream Land's platforms. Initial spawns are no longer two feet away from other players as they were in the original version. Versions with 2 platforms, a single platform on either side, or no platforms are all included. Includes Project M 3.0x Camera. I rotated the background and lowered it. The clouds on the horizon no longer obscure bright things like lasers. 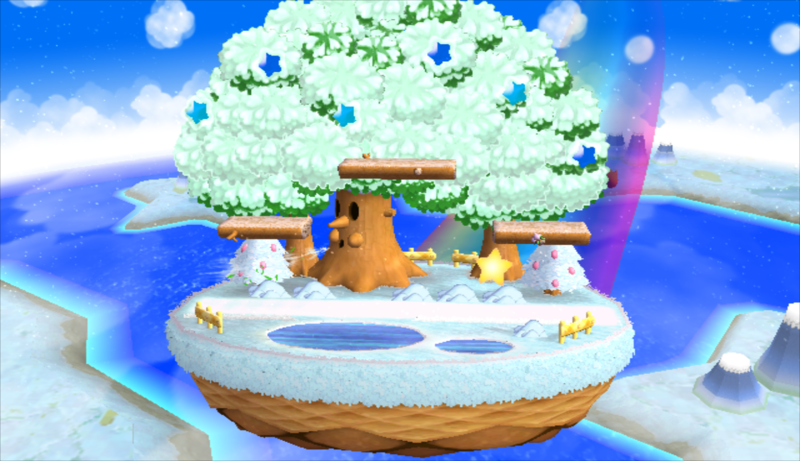 For the same reason, I removed the star leaning on the tree (zamus' side b for instance is difficult to see when it overlaps). Smooth McGroove's Gourmet Race cover is included. Currently some flowers are missing as a friend has been complaining about them. I hope to make a new version later, so perhaps the flowers will bloom again. The rainbow was deleted as the rotation of the background put it in a bad spot. Hopefully will make a comeback as well. 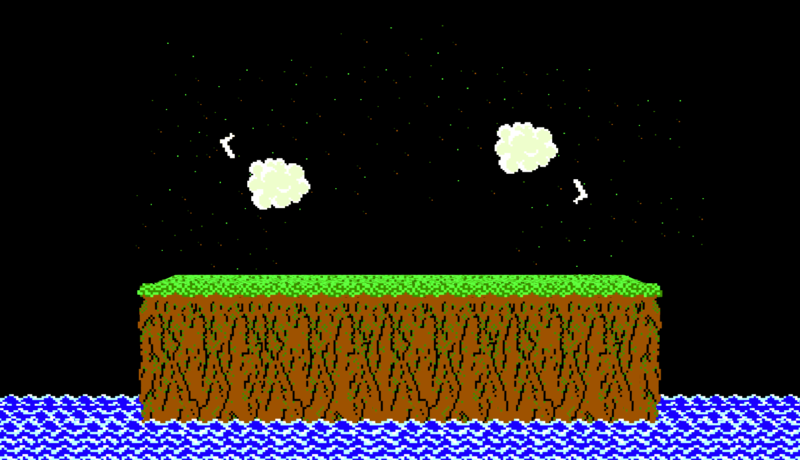 Lastly, I deleted the animation data for the sky, so that it remains a consistent shade of blue. 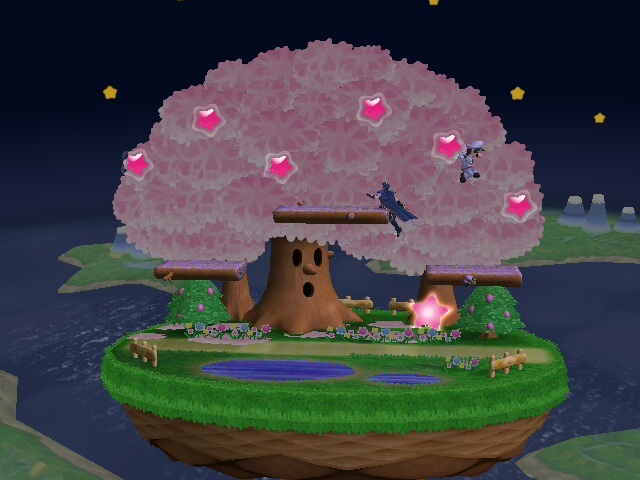 A stage from a balance hack of Melee. 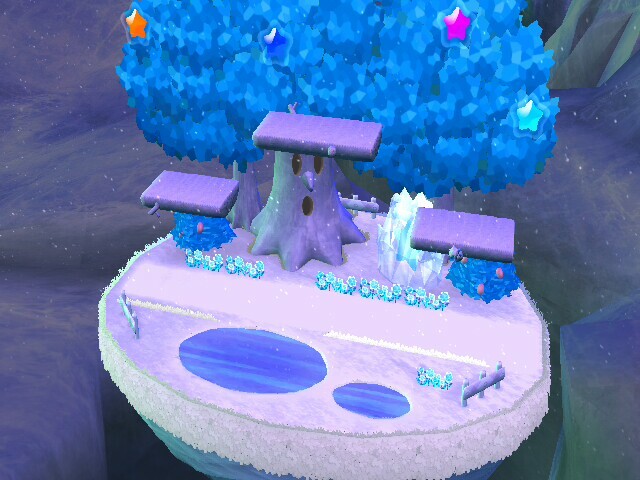 I used Mewtwo2000's Dream Greens (N64 Dream Land with the appearance of Green Greens) as a base, so it won't ever drop apples. 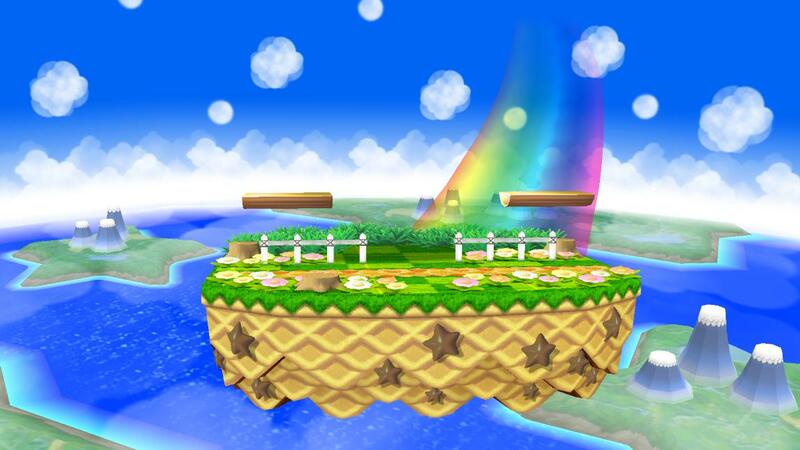 This stage should be able to be used without the wind if placed over Battlefield. 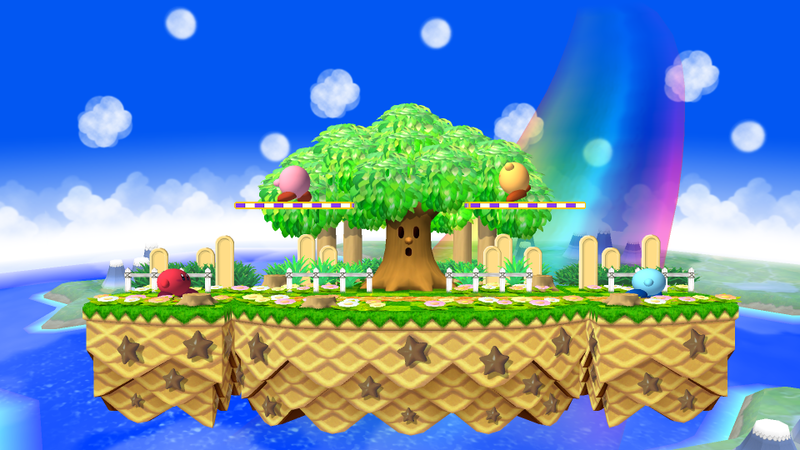 I took PM's Dreamland with green green's background and remodeled the whole stage from scratch. 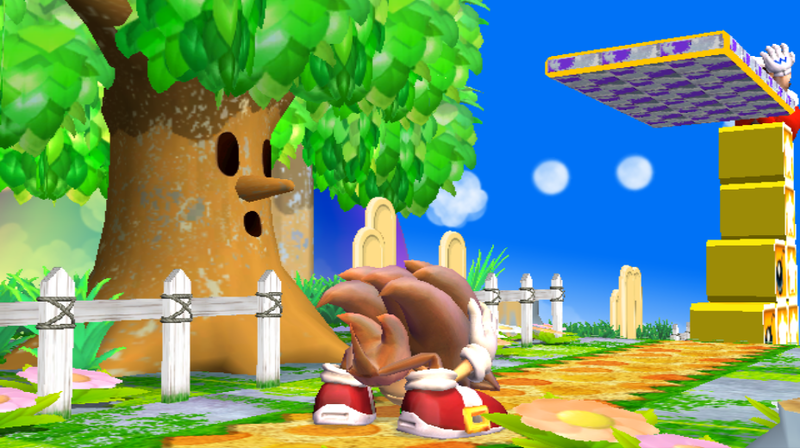 There's now a warpstar leaning against the trees. The water is now transparent and flows back and forth. All textured in HD from scratch. I've been working on this for quite a while, so please, ENJOY! 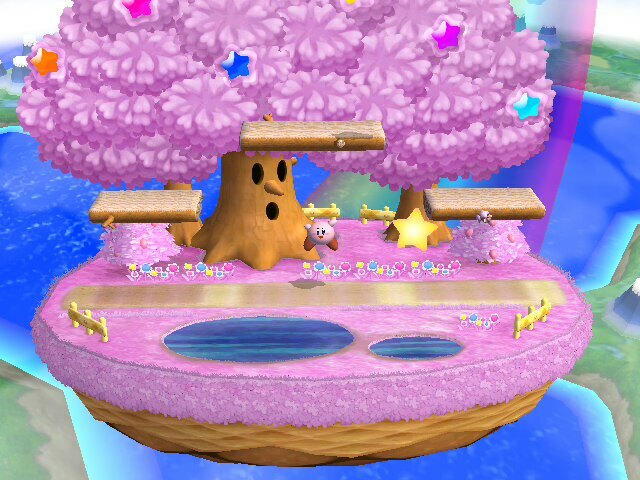 This one is a casual version of the Dreamland stage. 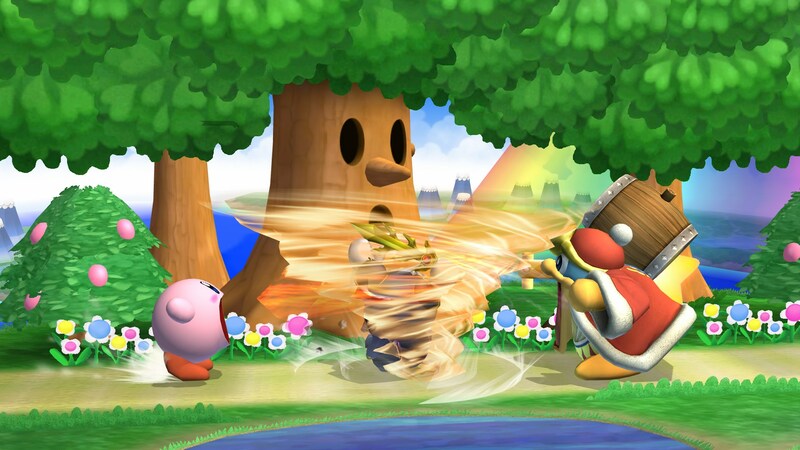 Whispy is blowing wind much more frequently here, though his blows are shorter. He spawns lots of apples, and he does it more frequently too. 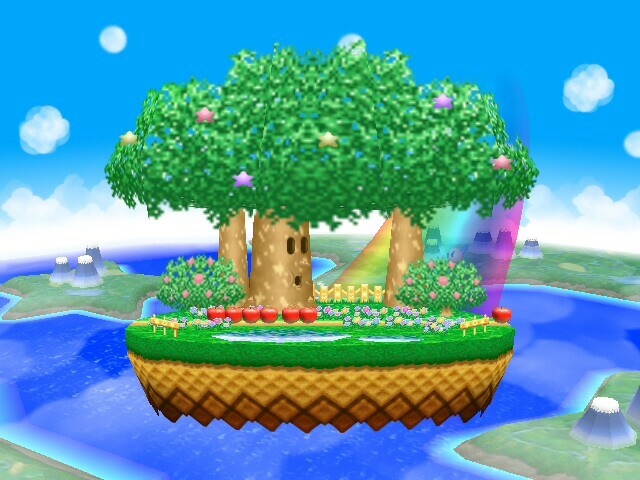 There's 2 possible backgrounds (original and Green Greens), and there's a no-platforms version too. The frequency of wind and apples are the same for all of them. Page created in 0.783 seconds with 136 queries.